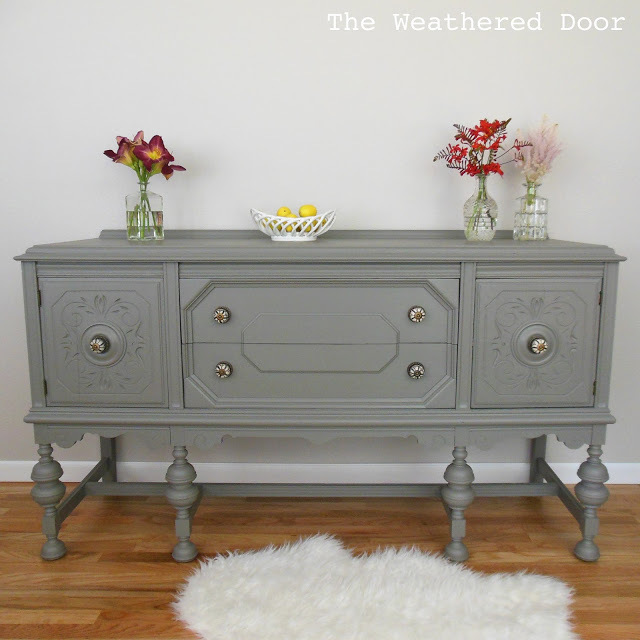 This big, beautiful buffet is from Reeves at The Weathered Door! 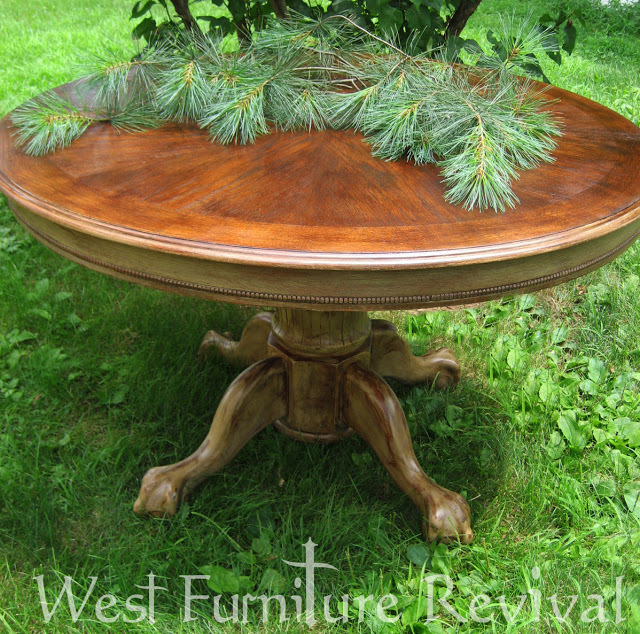 Lauren from West Furniture Revival found a way to give this classic table a fresh new look, while retaining it's natural beauty! 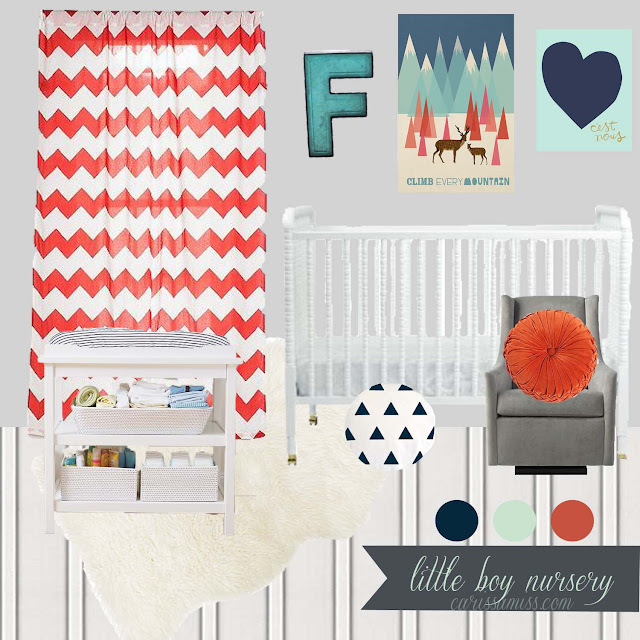 I love this perfect boy bedroom from Freckle Face Girl! And Chris found her own way to get the famous black Pottery Barn finish on the beds! I also think this fun dresser from Cassie at Primitive & Proper looks like it stepped right out of a Pottery Barn catalog! 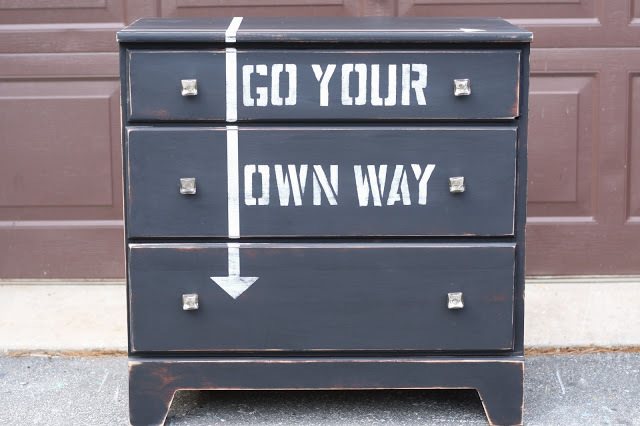 Lynn from Fern Avenue turned a thrift store dresser into a beautiful vanity! And I must not be the only one with babies on the brain at the moment as we had more nursery links at the party last week than ever before. 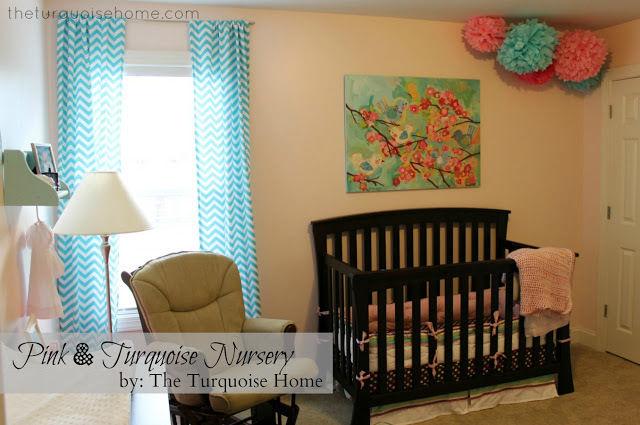 I love that nurseries today are so stylish and sophisticated. 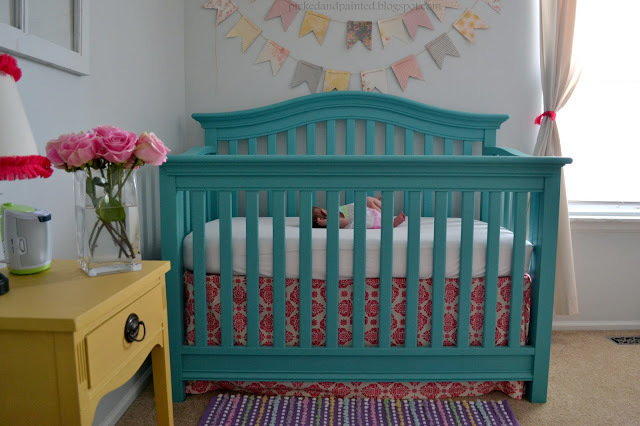 This bright and happy nursery reveal is from Helen at Picked & Painted! 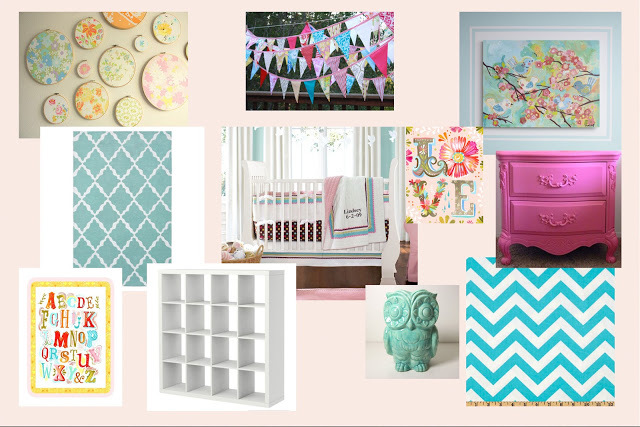 Laura from The Turquoise Room shared her pink and turquoise inspiration board, along with the big reveal! and another ready for a baby girl! 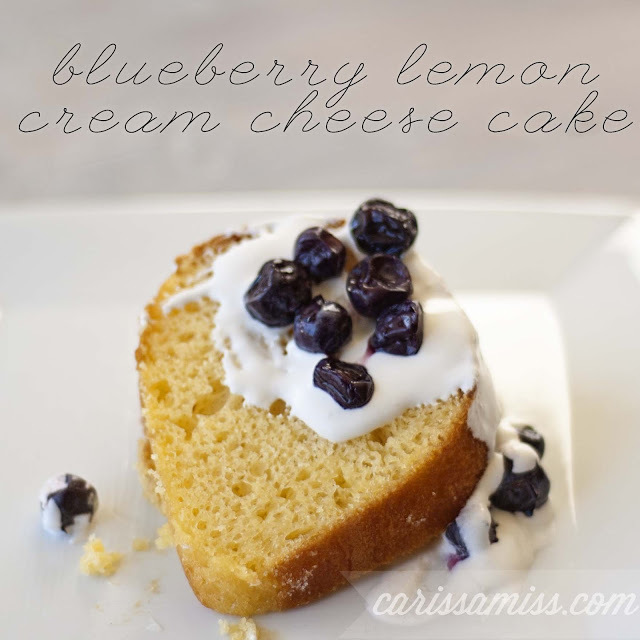 Carissa also shared this Blueberry Lemon Cream Cheese Cake that looks so moist and delicious! Lemon and cream cheese - yum! 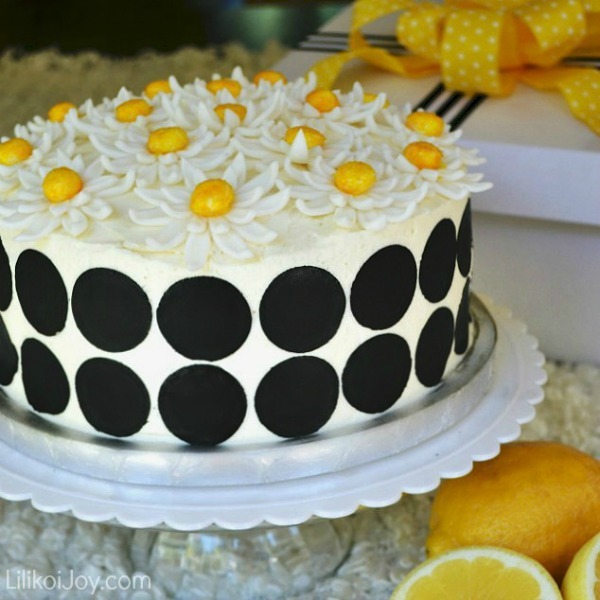 And how beautiful is this Kate Spade inspired Lemon Layer Cake from Sharon at Lilikoi Joy! It has luscious layers of lemon curd and she even decorated the cake box to match! Have I mentioned that I love all things lemon! loving the two twin beds, looks like there's still plenty of room. thanks for hosting! Wow! I love the features this week, everything is colorful, just perfect for the summer! Thanks again for hosting and have a lovely week! Thanks for hosting! Love all the features! 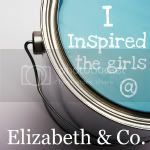 I'm following on Bloglovin'! 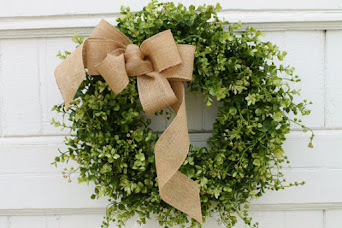 Thank you so much for hosting...have a great day! Wonderful features this week...love that vanity. I haven't read what the surprise is!! 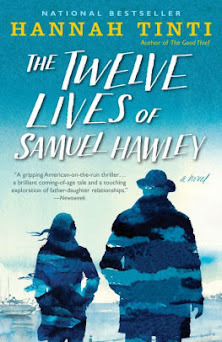 Going to read right now. So glad the tag sale was successful, I be you are so glad it is over. Now....for the surprise, can't wait! WOW! 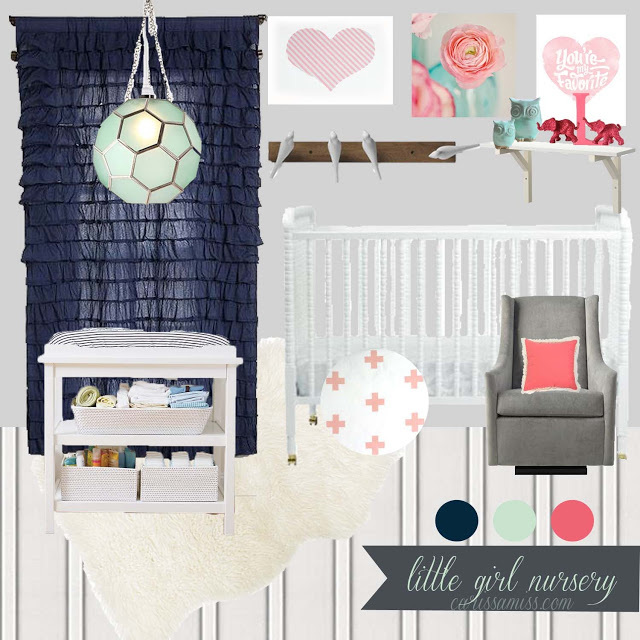 thank you so much for featuring my dresser- totally honored as the other features blew the top off! love the rooms from picked and painted and the freckled one! fabulous! Wow! You had some fabulous features this week Sharon! I'm heading over to check them out. Thanks for hosting, as always! 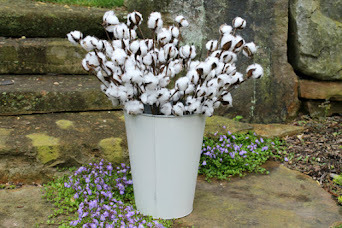 Thank you so much for featuring my table, was a nice surprise while going thru the blogs I visit!. Im going to check out all the others! I am loving your features. Thanks for hosting. Great features as usual :) Nothing to link up this week.